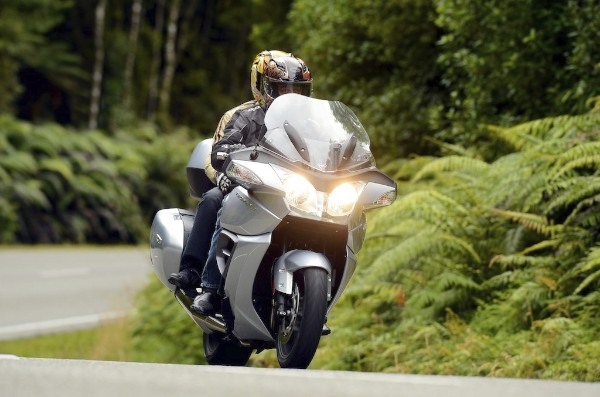 IN TRIUMPH’S Hinckley era the Trophy touring models have always been towards the sporty end of touring rather than the overweight plodding end. The all-new Trophy is no different. Triumph has well thought out the role of its new touring machine, and as a result it will appeal to a much broader range of riders. 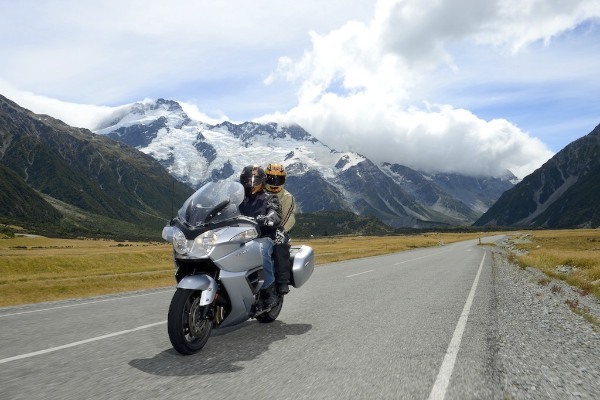 After spending five days on the new bike in New Zealand’s South Island, much of it two up, I can tell you not only is it very comfortable, it is one of the best handling touring machines I have ever ridden. Blank Canvas Triumph reckons it never considered the bike as a competitor to the luxo tourers from Harley-Davidson, Honda and BMW, rather it wanted to design a bike to rival the BMW R 1200 RT, Yamaha FJR1300, Honda ST1300 and Kawasaki GTR1400. All of these bikes are of similar size but Triumph saw the R 1200 RT as the benchmark of the group. It probably shouldn’t be a surprise then that the Trophy looks somewhat similar to the Beemer. Looking at the bike you would think it is an entirely new motorcycle but this isn’t strictly the case because the underpinnings of the bike is the engine and shaft drive from the Explorer adventure model released in 2012. And there are no changes from the engine spec of the three cylinder 1200cc Explorer, except for a slightly revised ECU, the exhaust system – more for the road chassis and style than performance benefits – and a taller sixth gear to suit the type of riding this bike is designed for.